Shana Pasapa said a planned self-defence course for women who are deaf or hard of hearing started off with a video which provided step-by-step instructions in sign language. Shana Pasapa knew she needed to help women who are deaf or hard of hearing learn to defend themselves after a friend was attacked. "They were attacked because [the attacker] knew they wouldn't be able to hear them," Pasapa told CBC Radio's The Morning Edition Wednesday. 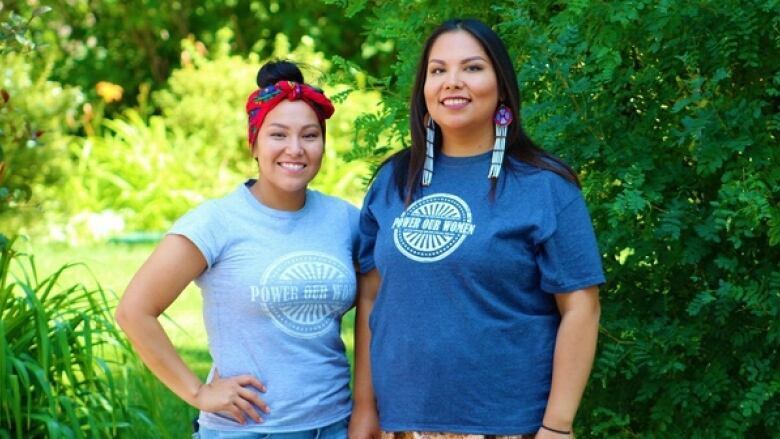 Pasapa, who is from the White Bear First Nation, runs Power Our Women, a self-defence training program. She and a friend made a self-defence training video where everything was explained step-by-step with sign language. That video was shared among friends and people in the deaf and hard of hearing community. Now, Pasapa is planning her first in-person course for women who are deaf or hard of hearing. Though the location has not yet been finalized, it will take place in Saskatoon at the end of the month and will be free of charge. She said she'll be teaching those in attendance things like striking, ground work, situational awareness, escape and risk reduction among other things. It will also be interpreted using sign language.